When a patient is concerned about his/her ‘overbite’, often the complaint is of upper front teeth sticking out. In orthodontic terms, this is called an increase overjet/ a Class II div I or a Class II div II incisor malocclusion. When the upper front teeth stick out, often times the lower lip is jammed between the upper and lower teeth (Lower lip trap). A lower lip trap can make an overbite worse over time by causing further flaring of the upper front teeth and may even cause gaps to appear between the teeth. Studies have shown that upper front teeth that stick out more than 6mm are 4 times more like to fracture during a fall! A significant facial trauma risk! Not only is teeth fracture painful, it is also expensive to repair and damages the long term health of the teeth. An ‘overbite’ with the upper teeth sticking out is often associated with a short lower jaw and a retruded, small chin. A short lower jaw is associated with an increase risk of Sleep Apnea, which is a serious medical condition. Treatment of an Overbite for growing children and adults are different. 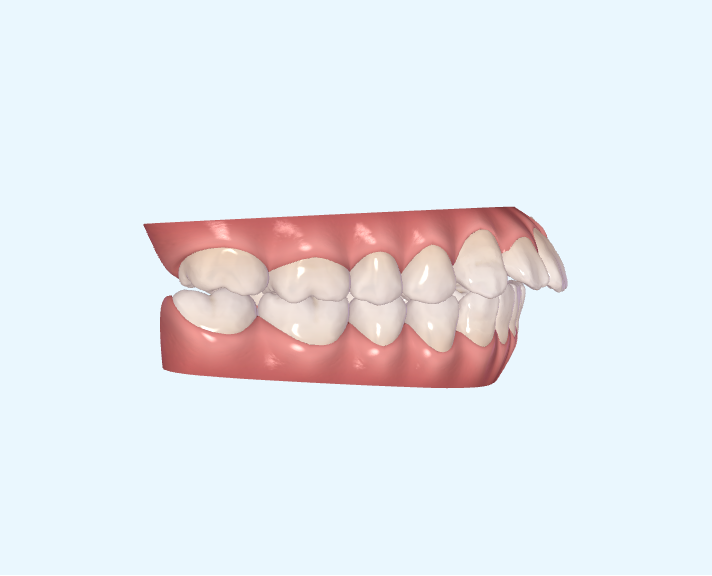 Growing patients may benefit from growth modification while adult patients with mild to moderate overbite can be managed with orthodontic camouflage. Severe cases should consider Corrective Jaw Surgery.